In a side by side double stroller children can easily interact with one another. This usually leads to more interesting experience for them and less work for the parents. For babies who are the same age this type of stroller has also a huge psychological advantage, the seats are equal. There are no front and back passengers no one is favored so there is no fighting who gets which seat. 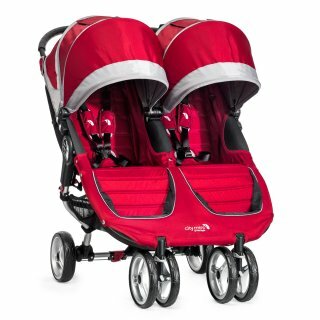 In my quest to find the best side by side double stroller I tested several most popular models. Below you can see how they compare. This stroller gained huge popularity among parents due to the quality of materials and well thought out construction which makes it easy to fold, transport and use on a daily basis. Its sturdy aluminium frame in conjunction with quite large foam filled wheels stands behind great maneuverability even in very tight spaces. Britax B-Agile Double features also Quick-Fold System (in short you press a button to unlock the mechanism and pull two straps to fold the device). For the comfort of young passengers it comes with two canopies and independent seat recline. Because of its high quality and nearly flat seat recline this stroller can be used with babies who are different age. 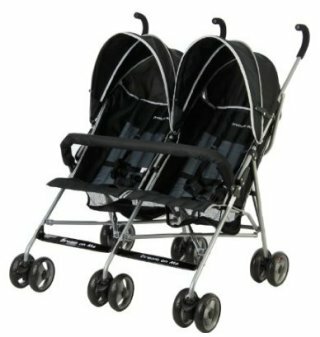 In fact B-Agile Double is considered to be the best double stroller for infant and toddler. See our review of double strollers suitable for infant and toddler. This affordable, lightweight umbrella stroller is a popular secondary stroller among parents who often travel with two babies. It’s not as sturdy as some other strollers but with only 26.5 lbs and exceptionally small size when folded it’s very handy while on the airport or train station. What is very important despite its simplistic design the safety and comfort of passengers is not compromised in any way. This stroller features independent seat recline (can go flat), 5-point harness and two canopies. Two storage baskets (one under each seat). Thanks to air filled wheels and three wheel design this stroller is surprisingly easy to push. 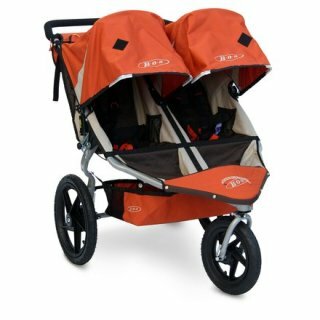 It comes without some blows and whistles of high end running strollers but it’s solid and gets the job done. Most parents praise this device for smooth ride and generous storage basket. The swivel on the front wheel can be locked while running to provide extra stability. Both passengers have baby trays in front of them and are secured with 5-point padded harnesses. NOTICE: This side by side stroller is not suitable for newborns due to limited recline of the seats (they cannot be set flat). It’s pricey but exceptionally high quality. This stroller was designed with active families in mind so if your activities are limited to a weekly stroll around the shopping mall this may be an overkill. But for those who spend a lot of time outdoors BOB Revolution is the ultimate choice. It comes with a unique suspension mechanism that efficiently dampen shocks on rough terrain. For additional comfort of the babies BOB Revolution comes with a specially structured seats that enforce proper posture. 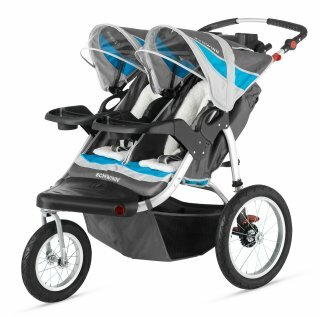 This three-wheeled double stroller is highly adjustable and comes with several features that makes it great for running as well as during less active trips. The large front wheels and sturdy aluminum frame makes it easy to traverse rough terrain while swiveling front wheel helps taking narrow turns in shops. Both babies have their own baby tray. There are also two independent canopies. Large basket provide lots of storage space. Air-filled tires and large wheels (12-inch in front and 16-inch at the back) help to traverse more demanding surfaces. 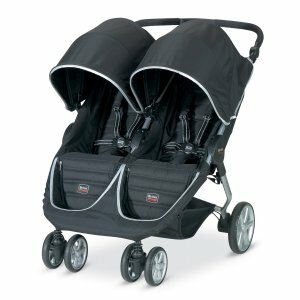 This is a very similar construction to Britax B-Agile double stroller. 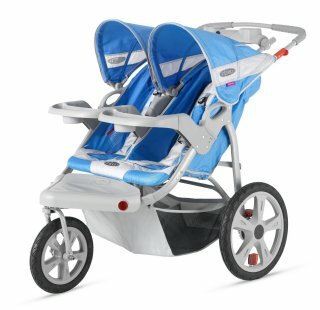 The most important difference for me (actually for my husband) was that this Baby Jogger double stroller comes without height regulated handlebar. Parking brake engages both rear wheels and is easy to operate even in flip-flops.